Every relationship has its own set of ups and downs. One moment, you’re on top of the world while the next you’re crying buckets of tears. This rollercoaster of circumstances can be draining and zap all of the energy out of you. It’s important to always remember why you are in love with this person when the bad times come. By forming this habit, you can toughen yourself up from various difficulties that you will encounter along the way. It will also make you realize you will never find the likes of this special someone anywhere in the world. And when the time comes you want to settle down, having your engagement photos taken is a must. Engagement photography is all the rage these days. 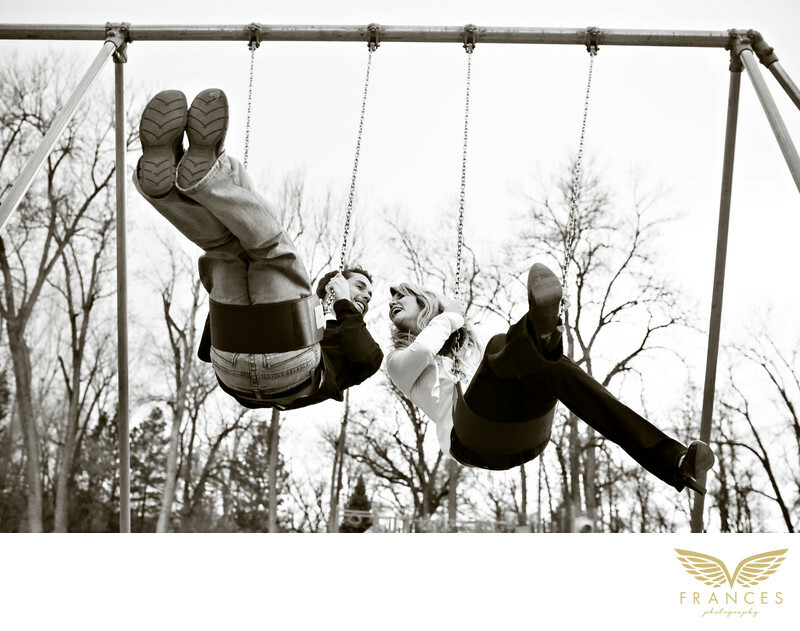 Do make sure to plan carefully on how your engagement session will go. A safe bet is just to play around and have fun all the day. And what better place to play around than a playground. Here, you’ll feel like a kid and more natural with your photos. The important thing here is to trust your photographers as these professionals guide you. For your part, you just need to loosen up and remember why you’re going to spend the rest of your life with this person.